The holiday season is in full swing! Parties are being planned. Holiday visits scheduled. This is a wonderful opportunity to spend quality time with the ones we love as we reflect on the past year and await a new one. For many seniors, though, being happy during the holidays can be a struggle - especially if they are far away from family members. 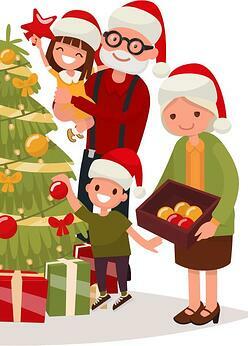 Fortunately, there are many activities and strategies for giving your beloved senior a sense of holiday joy. Many seniors do not recognize their loneliness or the health problems that feeling lonely can cause. As a result, few will voice their need for additional support. Nostalgia, memories of lost loved ones, and distance from family can all contribute to the holiday blues. With a little planning, you can brighten the holiday the season for your senior. For more tips on how to bring holiday cheer to your senior, . Our December Marketing Monthlies are a great source of information, and they are also available as PDFs so you can distribute them to clients, their family members, and prospects.